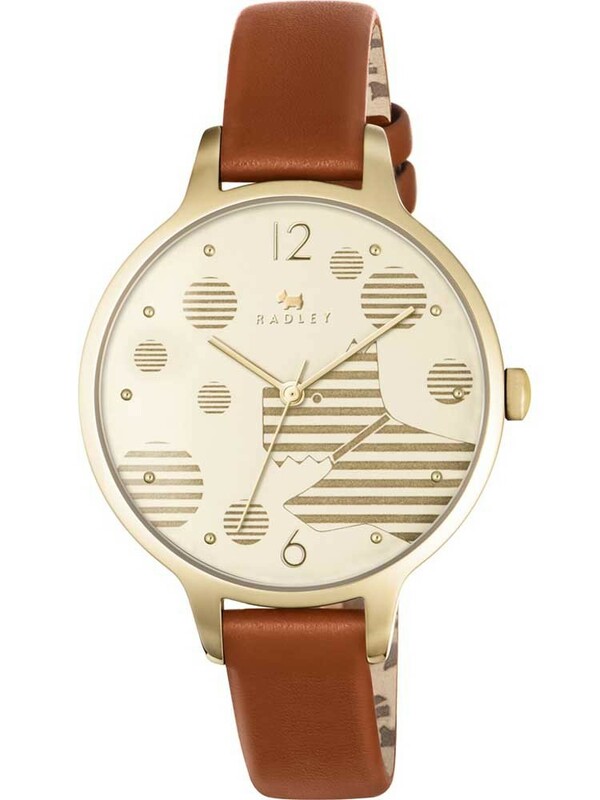 Introducing this attractive ladies fashion watch from Radley and the Ormond range, sure to make a standout addition to any outfit it adorns. The gorgeous gold plated steel case houses a playful striped spot design and the adorable Radley dog logo. 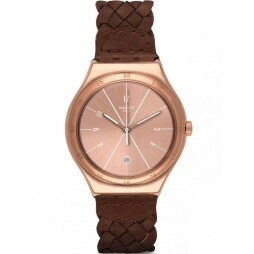 Complete with a brown leather strap to complement the gold tones stylishly.